This versatile, portable light tower allows one-person maneuverability, fits through a standard doorway, and is powered by a standard 120V outlet. 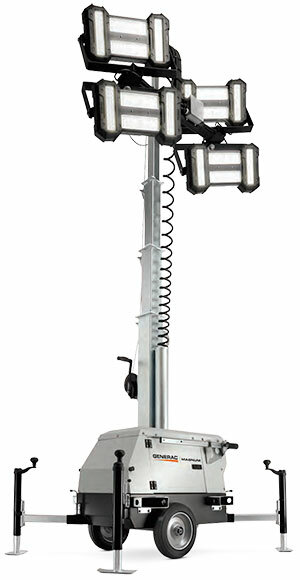 Durable LED modules provide the same powerful illumination as a full-size LED light tower, with the added versatility of its compact design. Use one, or LINK two towers together.